The Klipsch R-2502-W II maintains the core technology use of a high-quality 1” Silk Dome compression driver (tweeter) mated to a conical horn, combined with dual 5.25” Polypropylene woofers in a 2-way design. 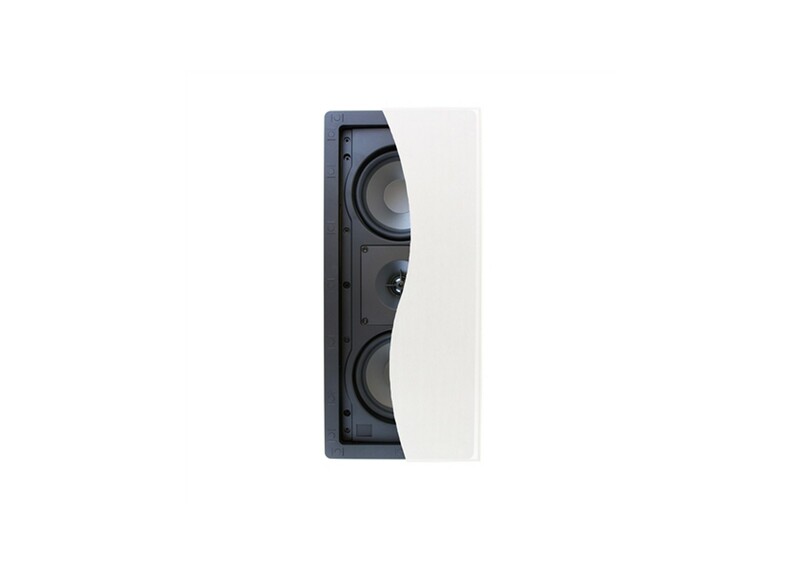 The R-2502-W II is perfect as a front right, left or center channel speaker. Now with a new low profile, more elegant grille it continues as the perfect choice for everything from 2-channel music playback to surround sound system use. Klipsch horn-loaded technology increases acoustic output while significantly reducing distortion. The horn’s 90° x 90° dispersion pattern allows the speaker to maintain the same high-frequency directivity whether the speaker is mounted vertically or horizontally (as a center). More direct sounds reach the main listening area with fewer reflections for more detailed sound, wider dynamics and better vocal clarity. Combined with the conical horn, the 1”, low-resonance Silk Dome compression driver (tweeter) is designed to reproduce balanced high-frequency information.